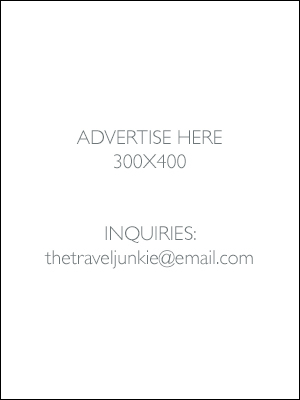 The Travel Junkie: Flying High, Singapore Style! 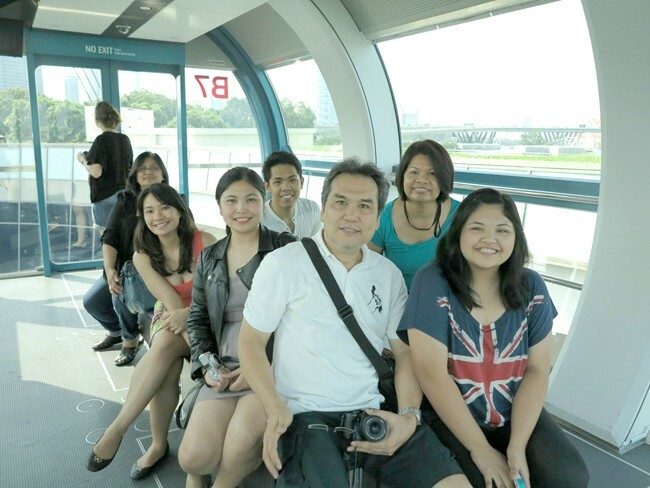 I ended my Singapore escapade by bringing the family to the Singapore Flyer. :) The Flyer is Singapore’s version of London’s The Eye. 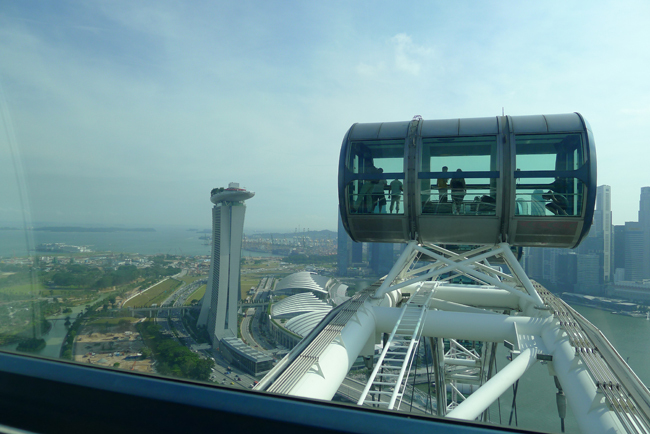 It’s a huge ferris wheel that reaches up to 42 stories high with a 360-degree view of Singapore and some parts of Malaysia. A little bit of info for you: the flyer is the tallest ferris wheel in the world next to the Star of Nanchang in Jiangxi, China. We got our tickets once again from Asiatravel.com for only SGD26 per person, so cheap! You may claim your tickets in the booths/office located at the lower ground floor. 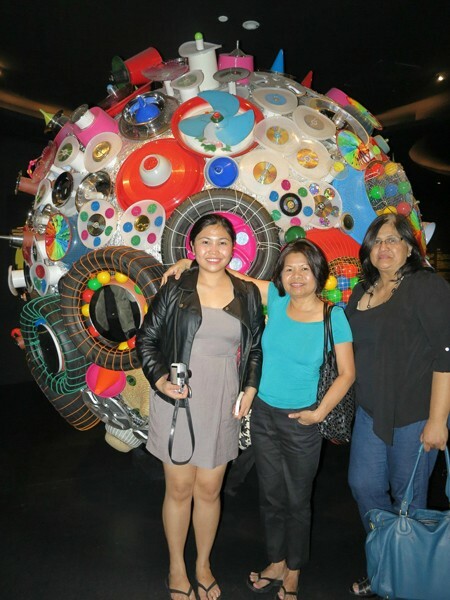 Before entering the capsule, you’ll get to see art related stuff using recycled materials. 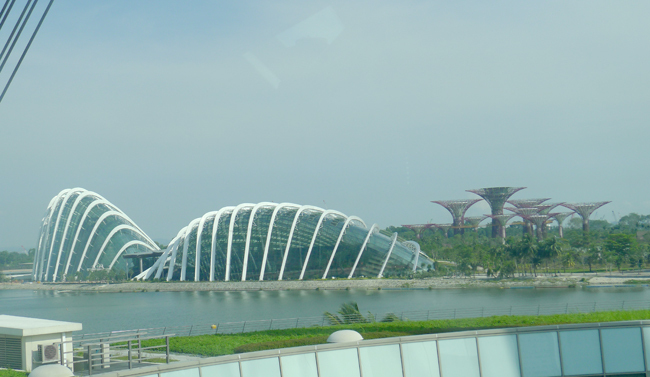 One of the views spotted was Gardens by the Bay. Haven’t been there but hopefully next year! For someone who’s afraid of heights, standing near the glass may be a little bit scary. Haha. You’ll also get to see the skyscrapers of Singapore. I can imagine the view at night, it must be stunning! ;) See the white lotus-inspired building? Thats the ArtScience Museum! 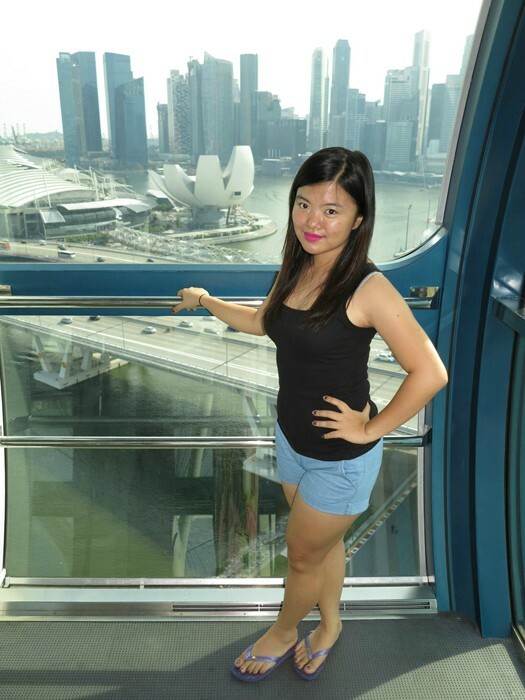 Singapore is love! Feels so close to nature whenever you see lots of trees around the city! What to expect once you get to the ‘summit’ of the flyer? Check it out! 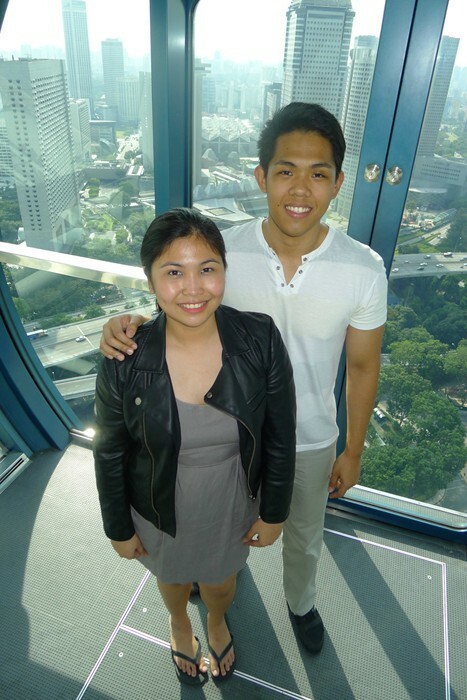 The Flyer’s higher than Marina Bay Sands hotel! You may order your SG Flyer admission tickets in advanced here. But wait, there’s more! 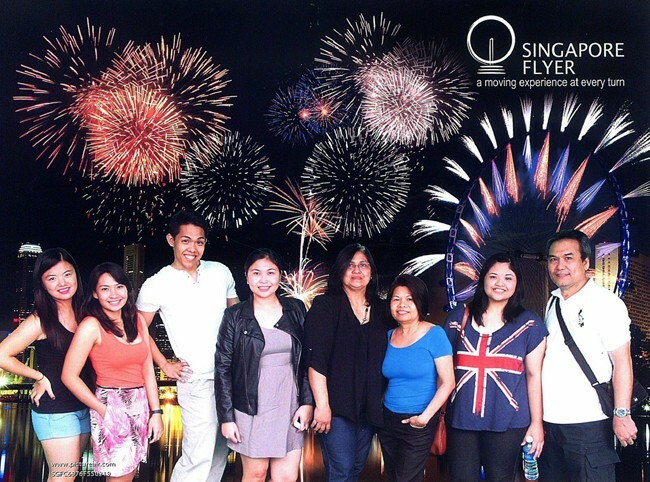 Since our trip to the flyer took only an hour of our time, my friends and I decided to go back to Sentosa Island to experience iFly! 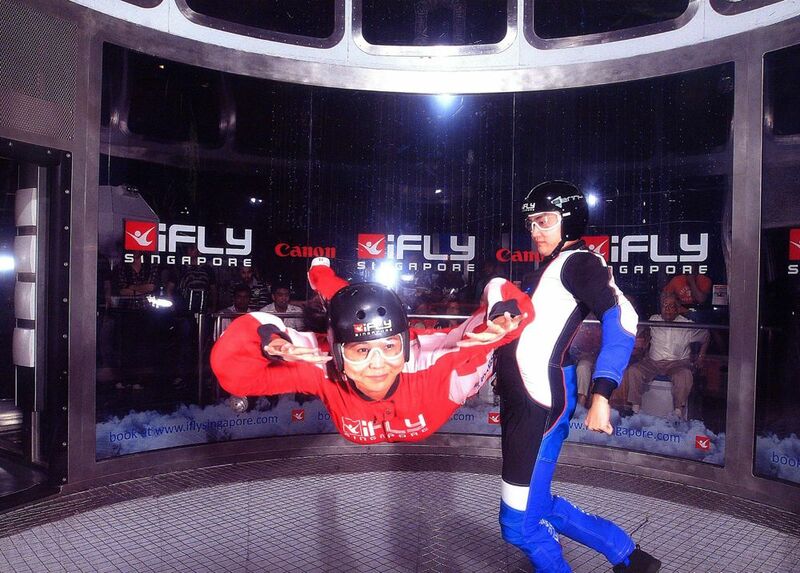 For those looking for the ultimate adrenaline rush and exhilaration in Singapore, this one’s for you! iFly offers indoor skydiving inside the largest vertical wind tunnel in the world! 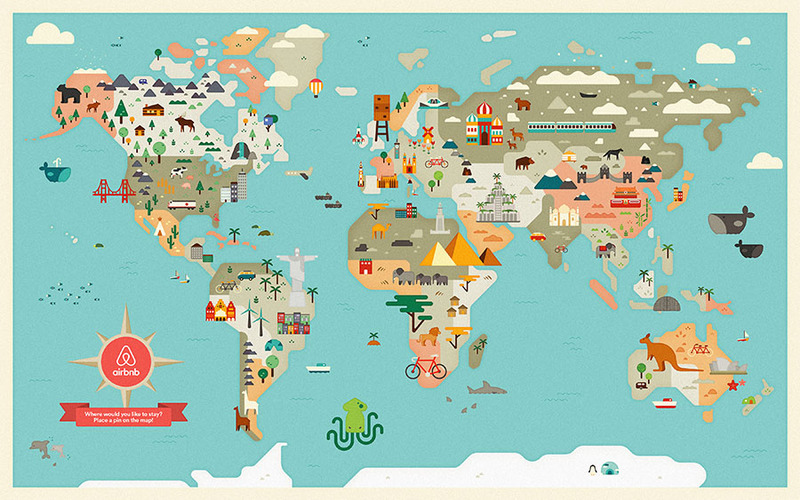 ;) It’s challenging, safe and definitely a lot of fun! I definitely enjoyed this trip! 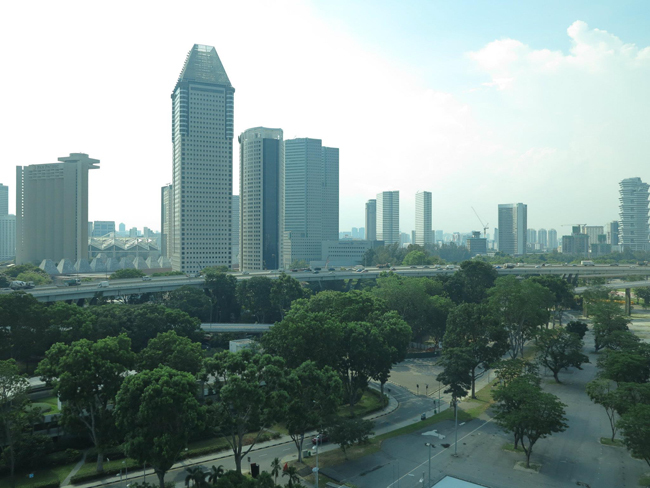 Yes, Singapore, I can’t wait to go back! Thanks for all the fun memories lah! P.P.S. 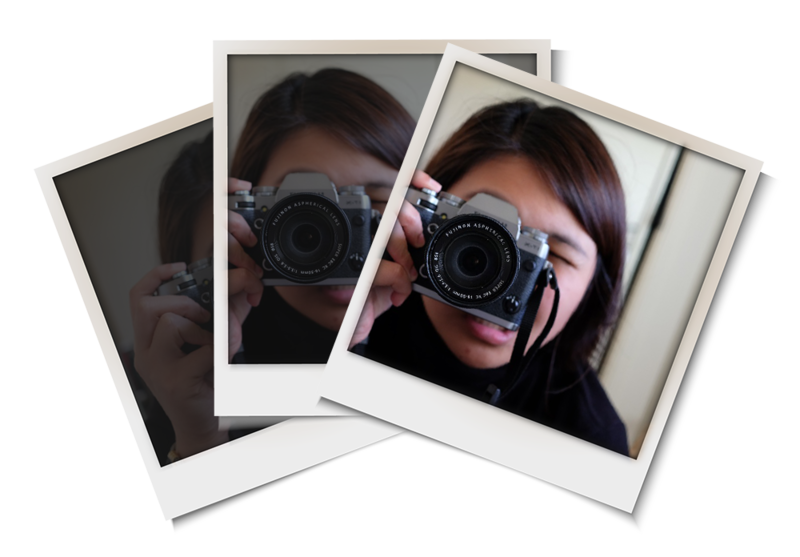 Don't forget to download your FREE cash vouchers from Asiatravel.com here http://www.asiatravel.com/cv/ambassadors/traveljunkie.html. 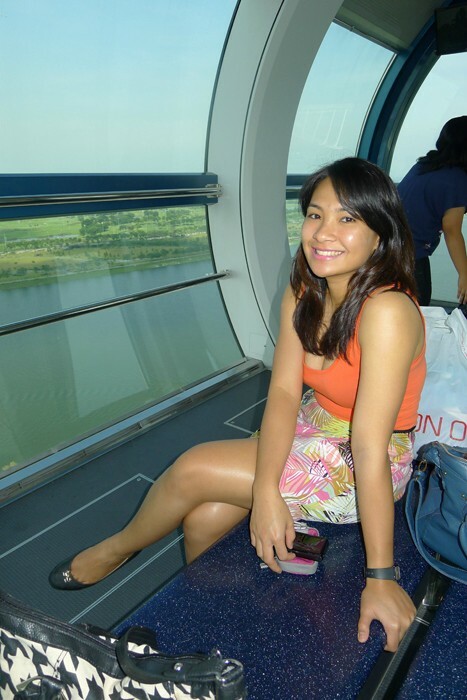 You may use your SGD20 to offset payment for prepaid products such as the Singapore Flyer!